Seminary in 1990. He then served Bethel Lutheran Church in Fergus Falls, MN until 2005. 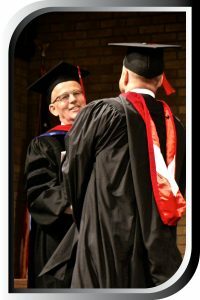 During these years he completed a Doctor of Ministry degree at Bethel Seminary in St. Paul. In 2005 he began teaching Practical Theology at the Lutheran Brethren Seminary and began serving as its president in 2006. In 1971 he married Crystal Overland. They have two grown sons, six grandchildren, and one great-great child. David and Crystal reside in Fergus Falls, MN.